The D-day is fast approaching. 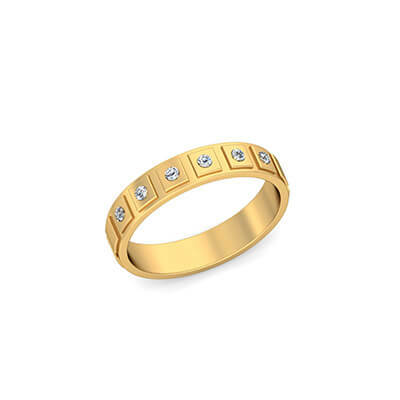 You are planning to gift the best wedding ring to your significant other. Well, that’s definitely a good news. Now it is time for you to go and do some shopping for wedding rings, and you are quite naive in this field. So what would do you do? 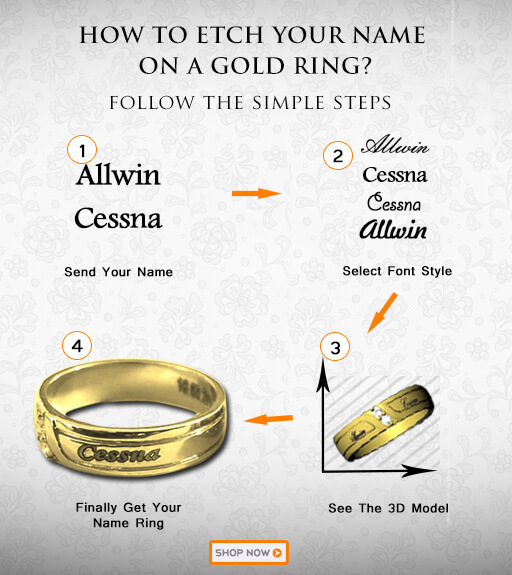 Here are a few suggestions which will help you select that dream wedding ring. Let’s get started! When planning your overall wedding budget, don’t forget to include the wedding rings for you and your spouse. You will be carrying your wedding rings forever with you. It is one piece of jewellery that is meant to last a lifetime. Hence, it would be wonderful if you can spend a little bit more on the wedding ring as compared to your regular jewellery. Before you even start shopping, it is essential that you conduct a thorough research on the type of ring that you want to purchase. Read up on the Internet, speak to friends or rope in your family for a clearer information. The more you invest time in your research, the better idea you will have regarding wedding bands, about their metals, designs, colour, cut, carat, clarity, etc. Understand your partner’s choices and preferences. Know their ring size, favourite shapes, and styles. Does your partner prefer classic round diamonds or more elaborate and fancy shapes like princess cut, pear, marquise, etc.? Would your sweetheart love a simple ring or a bold piece studded with diamonds and gemstones? Having answers to all these questions beforehand can help you select that perfect wedding ring for your partner. Finding the right metal for a wedding band is one of the most important factors while selecting the wedding ring. A band is the circular part of the ring that rests on the finger and is usually made out of gold, silver, tungsten, platinum, etc. Know her taste in jewellery. Does she prefer white gold, yellow gold or rose gold? 24K, 22K, 18K gold – Which one is better? 24K gold is 100% pure gold but it is very soft and not suitable for daily use. Hence, it is not preferred by most jewellers. 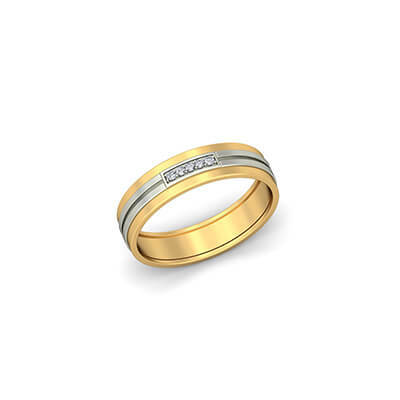 On the other hand, 18K gold is 75.0% gold and can perfectly withstand the daily wear and tear. Hence, it is widely recommended for fine jewellery. Take all these points into consideration when picking a wedding ring for your sweetheart. 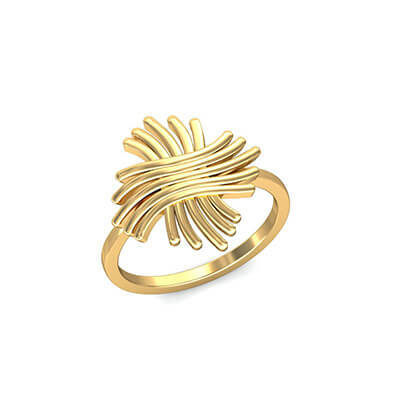 The setting refers to the metal framework that hold a gemstone or diamond in place. The perfect setting can set the tone of the ring. There are many different settings like prong, bezel, channel, pave, flush, etc. Make sure you understand and learn more about various types of ring settings before buying the wedding ring. The trend of buying wedding rings online has shot up considerably. With more and more people turning online for shopping, online jewellery shopping is definitely a boon to all the customers. The process of purchasing jewellery online is simple and quick. You can choose from thousands of designs and that too from the comfort of your home. Online jewellery shopping sites also offer you the choice of selecting the ring depending upon the metal, size, colour, purity, etc. 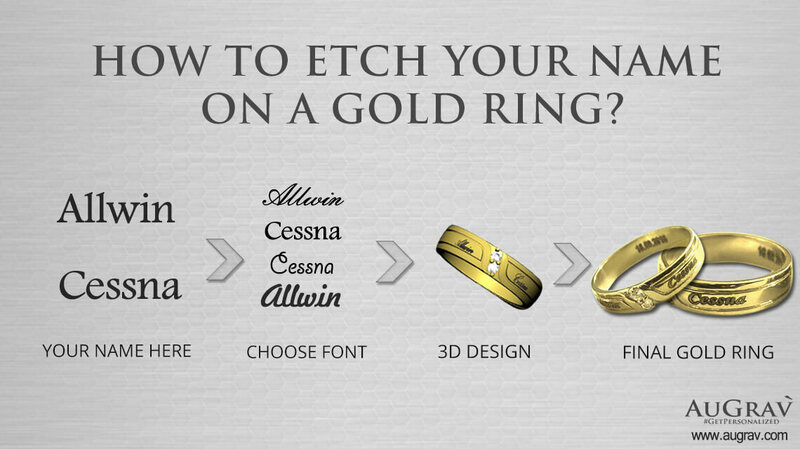 Many sites also offer services such as customizations and personalisation of wedding rings. 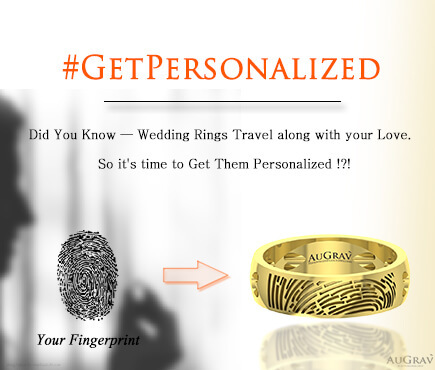 When it comes to personalized jewellery, AuGrav is one of the most popular and dependable names in the industry. At AuGrav, you have the option to customized each and every piece of jewellery according to your choice and liking. There are certain aspects that you need to look out for when purchasing a wedding ring online from a website. Look if the website has a clear contact us section, proper customer support, and service, shipping, and payment related information, etc. Also, analyse and find out what other customers has to say about the products available which will help you determine whether to buy or not from that website. Our top-notch quality, unique designs and excellent customer service has earned us a reputation of being the best in the industry. At AuGrav, we take pride in our expert panel of skilled designers who tailor each piece of jewellery according to your style and requirements. 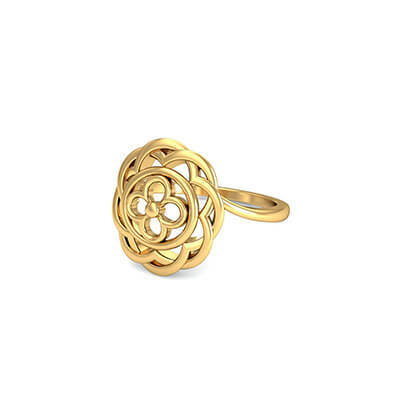 A personalized ring can spice up any outfit and make you stand out from the crowd. Whether you prefer traditional or modern attire, a stunning personalised ring can elevate your look and take it to the next level. These days there are several customers who get their engagement or wedding rings customized according to their choices and preferences. Right from Bollywood celebrities to famous business personalities, personalization is currently the hottest jewellery trend in India and all over the world! From charming soundwave rings to unique fingerprint bands, you can discover a splendid assortment of personalized jewellery at AuGrav. 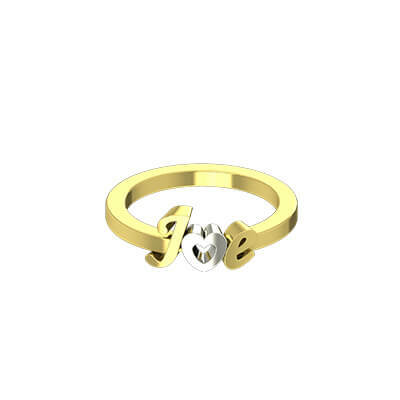 You can add your sweetheart’s name on the ring, engrave your lover’s fingerprint or record your own voice note and etch it on the ring, the choice is yours! 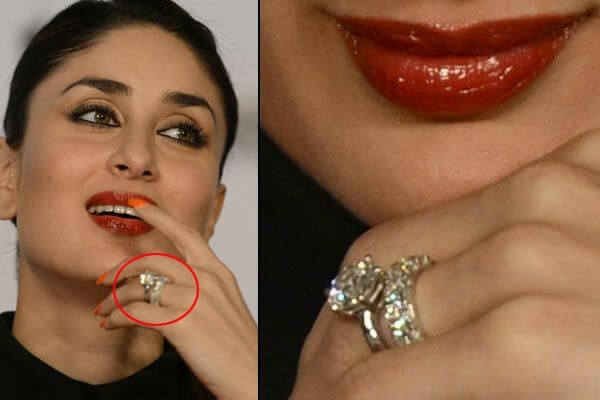 When it comes to wedding and engagement rings, how can Bollywood celebrities be left behind? Whether it’s Shilpa Shetty’s sparkling solitaire or Vidya Balan’s elegant gold and ruby ring, these divas know how to flaunt their high-end engagement rings in style! 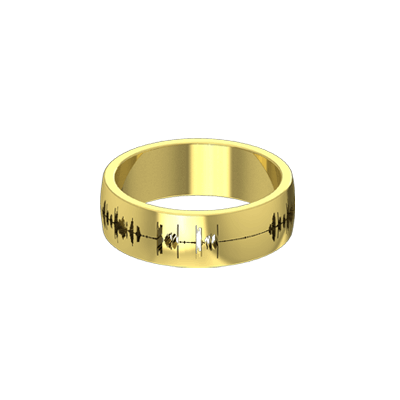 Shopping for a wedding band online need not be a nerve-racking experience. With the right amount of knowledge and proper planning, online jewellery shopping can be a rewarding and enjoyable experience. Buying Wedding Rings? This Is What Exactly You Need To Know Overall rating: 4.7 out of 5 based on 235 reviews.